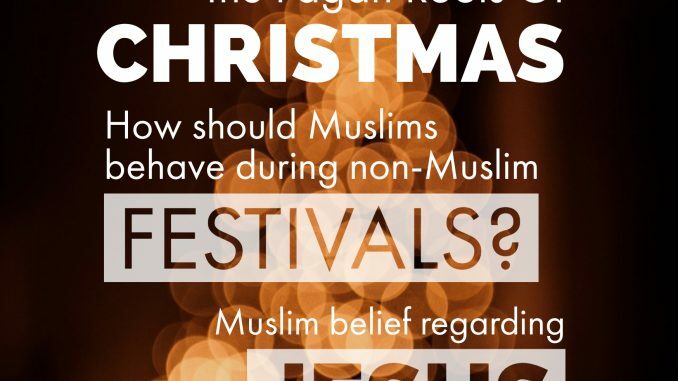 The word ‘Christmas’ means ‘mass of Christ’ which later became shortened to ‘Christ-mass’. It was the Roman Catholic Church who spread the term among other Christian denominations and non-Christians. So where did the Catholic Church get the celebration from? It is not in the New Testament, and certainly not in the Old Testament. The 1911 edition of Catholic Encyclopedia itself states, “Christmas was not among the earliest festivals of the church. 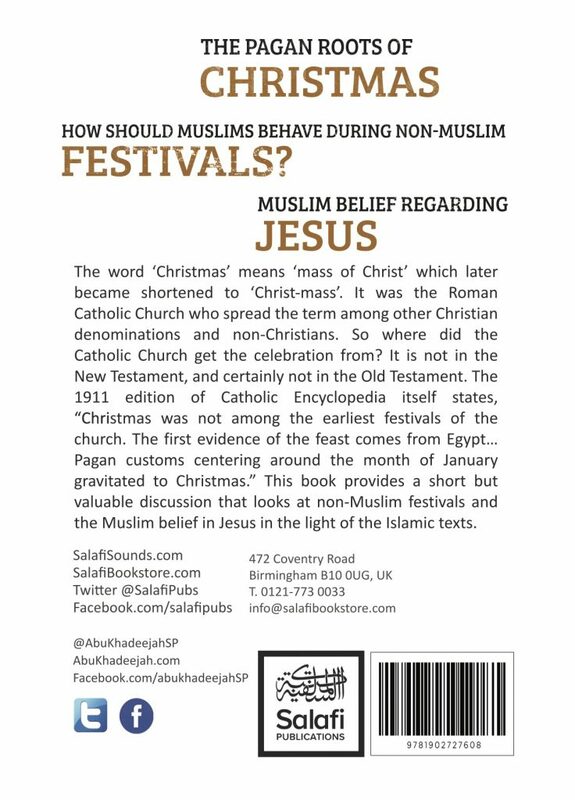 The first evidence of the feast comes from Egypt… Pagan customs centring around the month of January gravitated to Christmas.” This book provides a short but valuable discussion that looks at non-Muslim festivals and the Muslim belief in Jesus in the light of the Islamic texts.